The Touch Dynamics cash drawer series provides your business with a sturdy and reliable option for storing cash. With three sizes to choose from, there´s a cash drawer ideal for your installation. 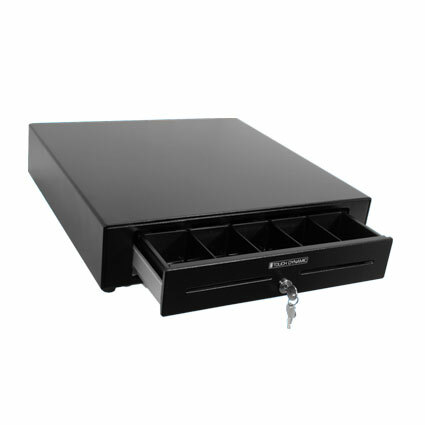 Available as a 16"x16", 18"x18", or 19"x15" drawer, Touch Dynamics cash drawers fit your needs with ease. Additional features, such as under counter mounting brackets, only increase installation options. Multiple coin, bill, and media slots make it easy to store cash, checks, and coins during business hours. Four-position key lock: locked closed, locked open, online, or manual open allows you to take advantage of a few different levels of security.